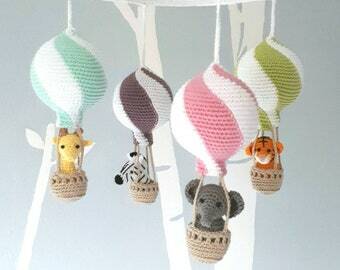 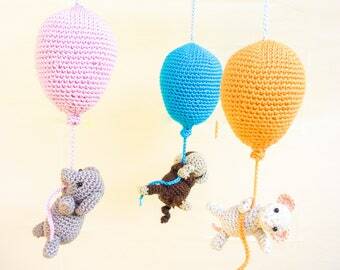 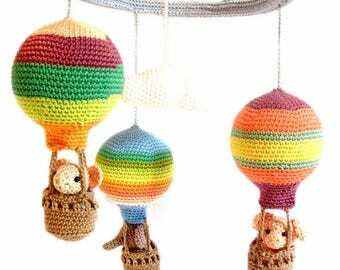 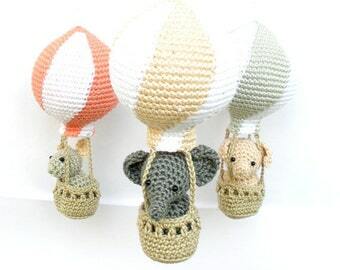 This Wizard of Oz baby mobile has a fun, colorful design to keep your baby entertained. 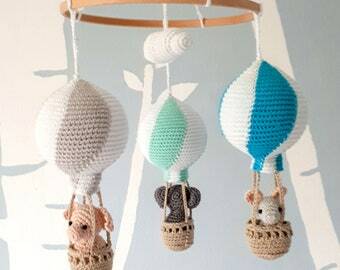 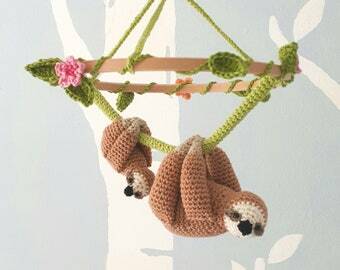 This nursery mobile features six characters from the famous (and unforgettable!) 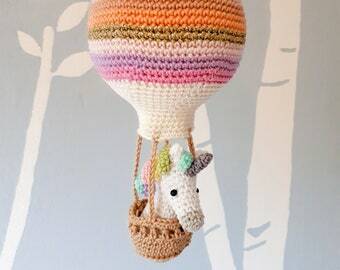 Wizard of Oz tale. 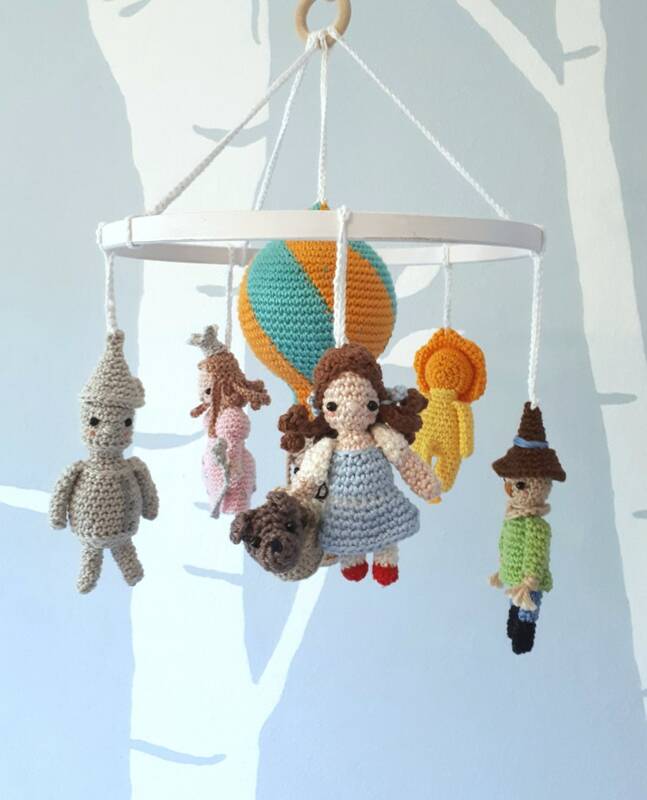 The Scarecrow, the Tinman, Dorothy with Toto in her basket, the Wizard in his hot air balloon, Glenda and the Lion will keep your baby interested with their detailed designs and friendly faces. 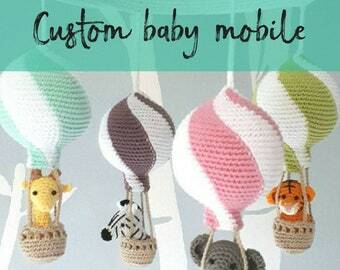 If you prefer different colors, different characters or if you have a special request, just send me a message with the details and I'll be happy to make a custom order for you.